Learn to clear your mind and think like a winner. We all have so much going on. A million different projects, to-do lists longer than your arm. We all worry about things - money, deadlines. With all this buzzing around in our heads it’s often a nightmare trying to concentrate on one thing. What if someone could show you how to empty your mind of all the noise? If you could be shown how to de-clutter your mind and concentrate on one important thing? 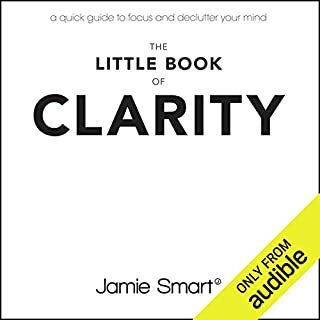 Well Jamie Smart, state-of-mind specialist, can do just that - with Clarity he will show you how to get real clarity of thought. You’ll learn how to clear your mind and become less stressed and more productive - and as a result, more confident in your abilities. What made the experience of listening to Clarity the most enjoyable? Listened with a beginners mind and soaked up some familiar concepts in a new, beautifully simple, clear way. What was one of the most memorable moments of Clarity? Being reminded that I am whole, that I have the whole world inside of me. What does Jamie Smart bring to the story that you wouldn’t experience if you just read the book? Jamie uses his voice artfully. A deeper, clearer understanding of some ideas I had previously wrestled with. While listening to clarity and ever since I have been having the most magical experiences every day.I feel calm and happy and playful. This book is a joy. Also really enjoying watching the video examples of using Clarity in a coaching environment. Jamie rocks. one of the best books you will ever read. 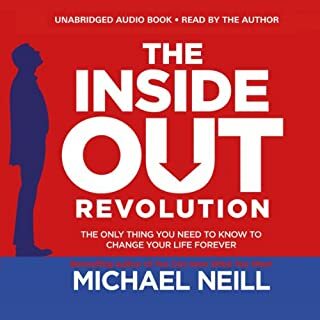 The basic premise of this book, is that we live in an inside/out word, we are constantly felling our thinking, but having an illusion that we are feeling the world and our circumstances. If we have a better understanding of how our feeling/thinking system really work, we are free from the illusion, and the natural consequence is that our clarity of mind, and sense of well being arises . Clarity of mind is the single moust significant variable behind human well being and the first step needed for any good endeavor. Buy these book only if you what to be happier, get better results and what to experience grater clarity in your life. 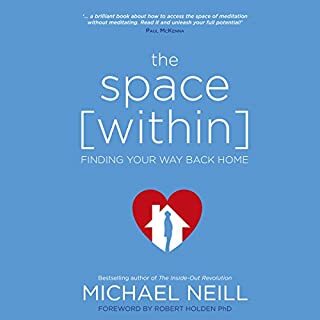 Common theme that runs through a lot of self help books but presented in a way that clicked with me. I'll read this a few times its that good. 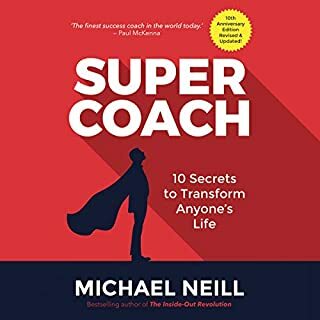 This book came recommended to me, I passed it onto my husband, and he says it is changing his life. It is read in a very hypnotic slow way, by an NLP practitioner, don't let that put you off. The concept is simple, but and almighty powerful. What other book might you compare Clarity to and why? the reader reads very softly and slowly and I think that helps put you in the state of mind the content wants you to be in. it's not really one you can listen to at the gym, but good for if you're on a walk, or doing laundry.but definitely do listen. don't be like me. I almost wrote it off because of how soft spoken he is. great insight about the nature of thought and the illusions of superstitious thinking. would highly recommend to anyone. If you're looking for a 'how to' style self-help or better-business guide - this isn't it - much as it appears to be marketed that way. There are no steps provided to achieve 'clarity' - and in fact - one of the stand-out passages, referring to a dog chasing its tail - is there to point out that you'll either 'get it', or you won't. That being given the solution to your problems isn't always enough - having your own revelation may take more, less or different exploration. Finding the key that you've always been looking for isn't necessarily the goal - you might not have needed the key at all. Or you probably already had it. Or the door was unlocked anyway. Imagine the door gone and it was never there. So - not for everyone. 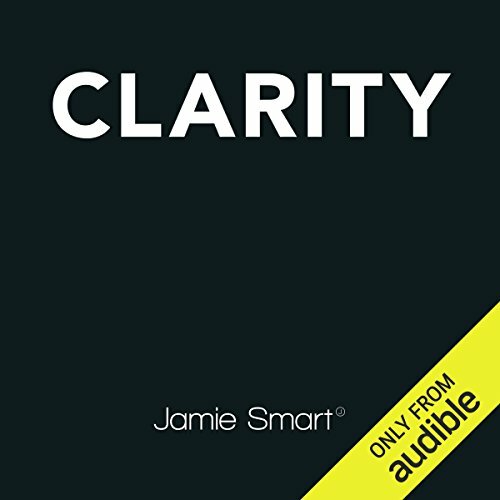 Jamie Smart's delivery is relaxed to the point of being soporific - not a bad thing if you're listening to relax and reflect, but if you have a particular place or time that you listen to audiobooks - you might find - as I did, that you're not in the right mood. I can imagine it helping a stressful train journey, but not helping say, a gym session. So I hesitate to recommend it - and wish there was an edited version without all the 'call to actions'. I will however, listen again at some point. Why did I title this review 'Emperor's New Clothes'? The book reminds me of the children's story... but not quite in the way you might think... Until it was pointed out to the Emperor that he was actually naked, he was the happiest and most confident he had ever been. Superb! For aspects of your life! I read Jamie's book within days, not being able to put it down, so many insights. His book is in my top 3 of the best books I have read (i have read probably 300+ books, 120+ on self help alone!) I have read it at least a further 5 times! Getting more and more understanding out of it every time! I didn't think the audio could be better than the book, I was very wrong! This audio goes one step further, there is a difference between reading a book, well for me, then listening! I had a huge insight that reading I concentrate to much on the words and not enough on what is being said in the book. Plus Jamie voice is almost mediative to listen too! I turned the audio on and was lucky to have the time to listen to the whole thing from beginning to end, woke up the next day and there was something different about me! Wonderfully different!!! To brilliant to explain in words!! 3 days later still have that feeling of peace, wonderfulness and clarity! Able to do anything with ease and grace! 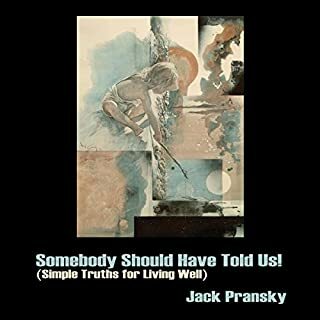 This audio can change all aspects of your life! This promises a lot but delivers little. Read by the author in a dull, almost hypnotic drone, it should be exciting, but turns out to be very very dull. The central tenet of this book is not new; our thoughts create our feelings. There's certainly nothing wrong with writing a new treatment of an old idea, but unfortunately this one achieves nothing new and is really repetitive, verbose and waffley. There is too much waffle that is not useful enough for real life built around the idea, nothing helpful. Way too much business jargon and too much focus on corporate and entrepreneurial arenas. And honestly, do people still really want to talk about "leverage points"? Read some good Buddhist books instead. Quite disappointed with the book really. He has a low husky voice which works well with what he is going for. The his is you feel your thoughts and before he tells you anything "important" he uses anecdotes to derail your attention and then tells you at the end of the book to attend one of his work shops. Hard Work & I'm not sure I 'get it'! The subject matter was promising but a patronising style & complicated ideas made this a struggle - didn't get to the end! What didn’t you like about Jamie Smart’s performance? i've been doing it wrong for years.... Jamie explaims in a calm tranquil voice how becoming succesful is not only possible but much easier when using the inside-out approach instead of constantly searching for answers "out there". Very clear, insightful and compelling. Boring nonsense. I can't believe people find anything profound in this sort of thing. Avoid. Read books by the great authors. That's where you'll find wisdom. I love the fundamental principles which are described by Jamie in Clarity. It makes complete sense and are profoundly enlightening towards living in a purposeful way and with complete and utter contentment. The concepts are also very practical and relative to modern life.